Absolute $0 to financially independent. We'll even prove it. No excuse programs intended to inspire positive change and smash excuses. Hey You! Are you an extreme entrepreneur- a focussed small business idea junkie that is skilled and thrives on thinking out of the box and “always finding a way?” You know then, there is virtually no excuse to be poor in 1st world countries these days. Here, I prove it. I show how to build something from nothing, step by step. 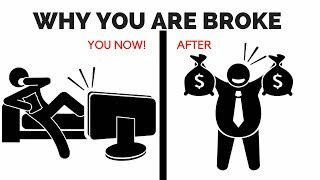 Learn here to make money from nothing… truly NOTHING, through a small business. Essentially, this is a grassroots small business idea library. From my brain, I regularly dig deep to prove that it is absolutely possible that almost anyone can build a life from extreme poverty to financial independence – in many cases, even wealth. And I have fun proving it! 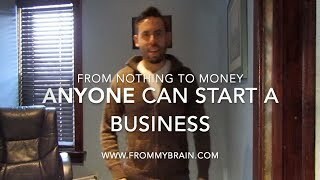 I found that there is a simple formula behind creating a significant flow of income, mostly from small business(es) starting from absolutely nothing. Working the way up the income ladder is what most people know it as, but we call these ladder rungs, phases. In every program scenario here (Phase #1 through Phase #3), all that is needed is a seriously openminded willingness to do work. Certainly a motivated attitude and enough health to walk and use hands is key too. Further to the necessity of someone to be prepared to do actual work, prevailing themes have specifically been physical labour and simply asking for the work. Read the article in our Resources page, Don’t Do YOUR Best, Do MY Best. 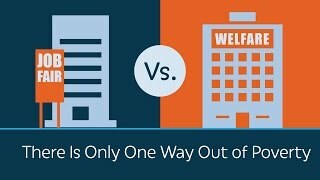 We can take virtually any poor person with at least some remaining sense and make them middle class (and off the system) without using free handouts – twice as fast if they’re already collecting welfare and have a home. We have to start somewhere and a realistic absolute beginning to make money from nothing is we take a hypothetical person that sleeps outside in a makeshift camp. He/she does however have a few different sets of clothing, including outerwear for even the snowy winter. This person does not receive any social assistance, but understands that they will die of starvation if they don’t get out there and earn money. Day 1, they have the appropriate clothing for the time of year, a full stomach, but no more food. Extreme poverty in this case is no money, no possessions except for the clothes on one’s back. For our purposes, financial independence is earning $20,000+ per year. No resources needed. This includes that no gifts, government handouts, begging, borrowing or breaking the law are needed. No education or special training is needed. Phase #1 small business ideas must not demand much trust. Only realistic and practical micro businesses permitted. For example, it’s unlikely that someone will get babysitting customers while as a Phase #1 unknown. As well, the programs relate best to Canada, yet applies very well to most 1st world countries and also many poor countries. This system goes in phases. Phase #1 is the bare bones entry level. Phase #2 programs are implemented when a strong foundation of money has been made from the Phase #1 project. Similarly, move on to Phase #3 when Phase #2 is going strong. Going door to door – Knock on doors, approach people. Friendly – Be extremely, yet genuinely friendly and likeable. Nurturing these friendships help the climb up the ladder immensely. Deep humility – All programs start at the extreme “bottom.” Accept that! You will be working for far less than minimum wage, so lower your expectations. We are looking at the long term right from the beginning. They are very humbling jobs, but only to get the ball rolling because they are simply a small step in the grand scheme of these income multiplying programs. Persistence – Be persistent with clients while likeable and make an appearance regularly. Save Money – Spend money only on absolute necessities to survive… food primarily. Money is sorely needed to invest into the next phase. This means no buying cigarettes, coffees, alcohol, and other wasteful things. For more psychology on small business success, read our page, Resources. Buying food with the money earned is essential and obvious in each phase. That comes out of the profit each day. It’s important to note that humans go go up to 3 weeks without food, so in truth, we here aren’t putting a lot of importance on staying fed and full for the first few days. No matter what people may argue, anyone can live and work on an empty stomach for a minimum of 5 days. I’ve done it recreationally and I know that it isn’t that hard. It’s just another sacrifice for a big future. Presumably our hypothetical participant is extremely poor and already regularly sleeps in a makeshift camp of sorts or couch surfs, so no actual housing is truly needed yet. Once more than enough money has been earned, it’s time to secure a room rental. It is ideal, however, to have money aside from rent, since budgeting is critical. A monthly room rental can be obtained from $350-$1000/month depending where. Of course it’s inadvisable to live in a well-off part of the city unless the Phase pay greatly overshadows the rent cost. As well, if it is an expensive rural town, move to a cheaper town. Think desperately. A phone can be purchased when *extra money* has been accumulated. Having a way to be contacted is integral, especially, but not specifically, in and around Phase #2. This is when an actual small business is starting to be established. A simple phone with a simple plan is all that is needed since the focus is getting out of “poverty,” not keeping in touch with friends. At first, in the Phase #1’s, it will be crucial to create a solid schedule with each customer in person, since it’s the cheapest way to contact them. Obtain a phone number and use a phone booth as a cheap substitute for a cell phone. Not essential in the beginning. After a financial foundation has been set, then can the participant start to introduce 2nd hand pieces of clothing to their wardrobe. Initially, the clothing should assist you to climb the income ladder i.e. a suit for interviews and meetings and clothing appropriate for quoting jobs. These are as realistic as we can surmise. At times it could be less, but more often, it will be more. We choose each minimum to be very conservative estimates only. Making day to day money and building savings appears to be our number 1 objective here, but indirectly we’re encouraging purchasing money earning assets too. If it hasn’t been obvious enough already, most Phase #2’s include purchasing equipment. We promote purchasing equipment as not just a tool to complete work faster and better, but to invest in an item that will somewhat hold its value (as long as it works). With tools, you now own assets. Awesome! Income taxes aren’t due until after the new year, worry not. Paying income tax stinks, but as small business owners now, you are able to write off and deduct any business related expenses from the income earned throughout the year. Examples of deductions are purchased equipment, parts, gas, cell phone, advertising and more.